Just in time for the holiday season, Clackamas Repertory Theatre will present a special version of "Wing It," an interactive theater program for children. "Wing It Holiday Magic" is scheduled for 10:30 a.m. Saturdays, Dec. 2 and 9, at the Osterman Theatre in Oregon City. 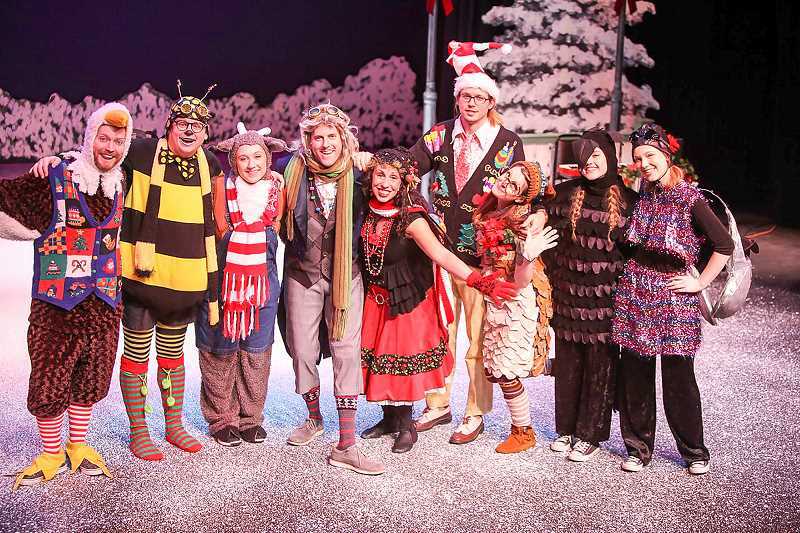 During the show, audience members will celebrate the joys of the winter season with the program's forest friends. There will also be a visit from a special guest from the North Pole. Attendees are encouraged to participate in the show's songs and dances. The cast of "Wing It" includes Travis Nodurft as Buzz Buzz; Benjy Rickard as Baldi; Heather Ovalle as Rita; James Sharinghousen as Jazz; Jennifer Whitten as Luna; and Chris Wilcox as the Captain. Tickets are $5 and can be purchased at the door. The theater is located at Clackamas Community College's Oregon City Campus, 19600 Molalla Ave.
Clackamas Rep's 2018 "Wing It" series also includes performances Feb. 10, April 21 and June 16.